No matter why you fancy spending a day or only half a day on the sea – we offer the „right“ ship. Due to the many years of our experience and to our local contacts we are happy to support you in planning your special outing. We personally know all the pleasure boats and partners. We regularly spend time on Majorca/Menorca. That`s how we know local conditions very well and are in a position to advise you on your planning in the best possible way. You are welcome to call + 49 211 24818970. In addition to the actual boat trip we offer transfer, catering and extra activities on many ships. No matter if business event, incentive for your clients, birthday party, wedding, anniversary, stag party or just for fun – treat yourself to this special day! 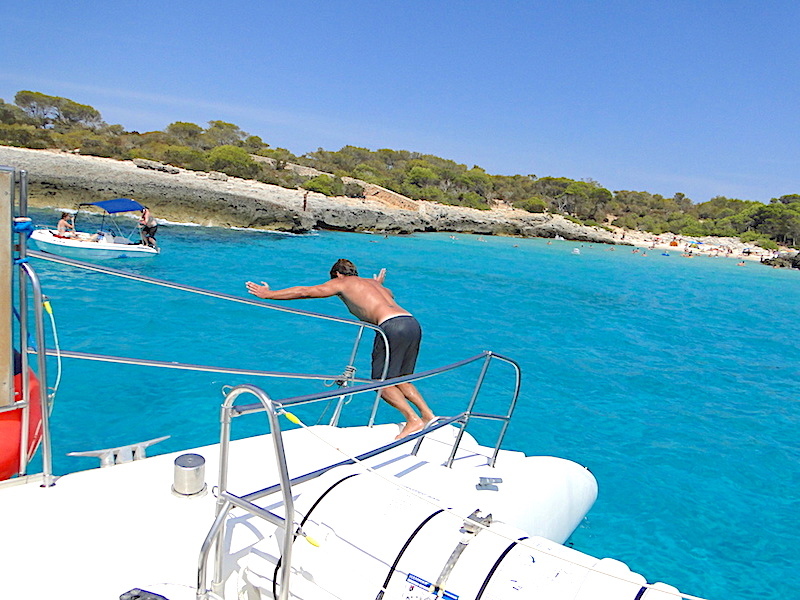 Discovering Majorca`s coast from the sea is a real highlight. Bathe / snorkel in pristine bays with crystal clear water and away from mass tourism! Or enjoy sunbathing on deck and (if booked separately) being treated to cool drinks and a delicious catering! In order to make your Majorca trip into a “perfect day”, it should be well considered and planned. We are delighted to help you with this. Your group trip is supposed to become an unforgettable memory. 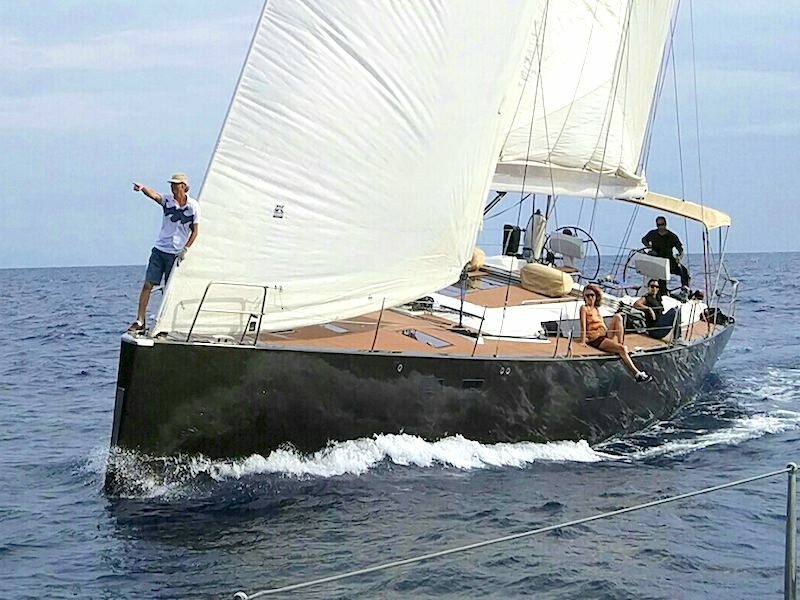 We find the suitable ship for you, tailor-made for the occasion – a private group, smaller or bigger, or a company event. We advise you on the optimum size of the ship for your occasion. The Majorca excursions you find here are by no means anonymous mass events. We offer “all inclusive” (including drinks and catering) as well as just the boat with crew. Some providers allow you to provide your own snacks/catering. With the booking of a charter you do something good for the environment! We are Sustaining Member of the Association for the Rescue of Dolphins, as we would like to be able and offer you – also in the future – the opportunity to watch these wonderful animals in their natural environment on one of our sailing trips. 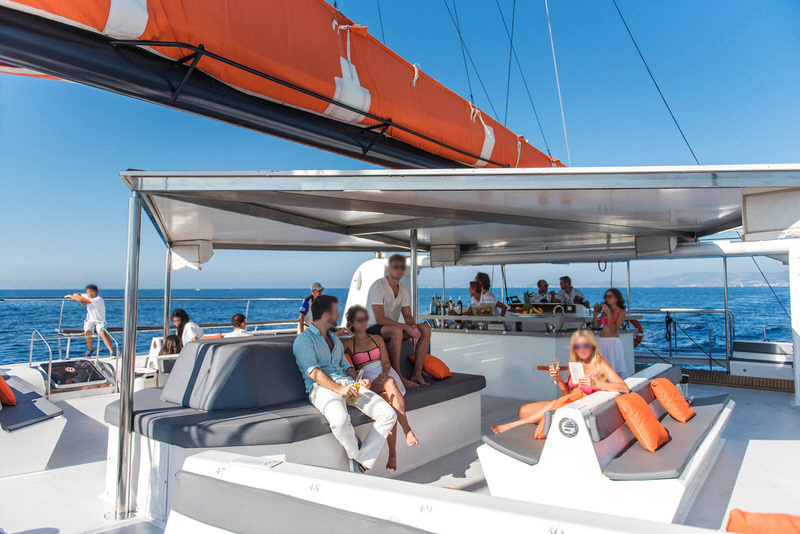 With every booking of a day trip on one of our Catamarans we donate an amount to the Association for the Rescue of Dolphins (in addition to our annual contribution). In cooperation with Trivago I recommend you these search engine. You will always find the right hotel and the right property on Mallorca.